Geoscience Wales Limited ( GWL ) is a not-for-profit company, with objectives to promote the geoscience businesses of our Associate members’ through marketing their geoscience expertise and services in the broader commercial marketplace. GWL also provide networking and educational opportunities through regular Cluster meetings and seminars. 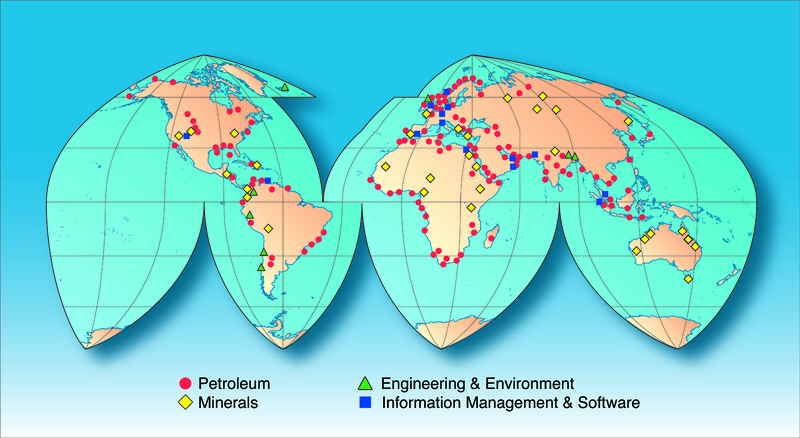 Our Associates have extensive global experience in very many aspects of all the geosciences. Our Associates are scientific services companies having experienced and highly specialised staff using advanced technologies to help our clients add value to their businesses. Geoscience Wales’ customer base ranges across international energy and mining companies, national and local governments major contractors and financial institutions. Our mission is to remain independent and exploit the unique skills of our Associates by providing the highest quality services to our clients in the most cost effective manner. Our experience ranges over projects across 7 continents and in more than 50 countries. The company’s headquarters are in Conwy in North Wales, United Kingdom. Our Associates are notionally based in Wales although a number of our active members now reside outside Wales.